MEEKER — While plans for the new elementary school are moving forward, some of the designs are still in the preliminary stage. School board members and project engineers spent two days last week addressing various construction issues. One of the issues under review is what type of foundation is best suited for the site of the new school, which will be located east of the Meeker Recreation Center. 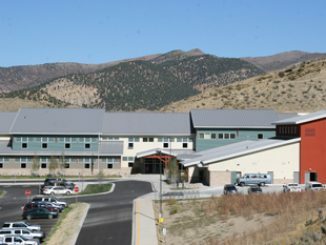 The new elementary building is expected to be completed during the 2010 school year. Members of the Meeker School Board spent two days last week, Feb. 18 and 19, in construction planning workshops for the new school. One of the other issues still in the works for the new school is the route of the sewer line. Another issue is the water line. Evig said the school district is working with the town and the county on its design plans for the building project. At another meeting Feb. 18, school board members accepted the resignation of longtime elementary school teacher Peggy Strate, who taught for 34 years, including 29 in Meeker. The school board also added Kirstin Henderson, wife of Meeker High School Principal George Henderson, to the substitute teacher list. Kirstin Henderson is a former elementary school teacher at Hoehne, where, coincidentally, Evig was the principal. MEEKER I Three Meeker Elementary School teachers — Paulette Hanks, Deb Omer and Renay Mobley — have been chosen to attend the Mickelson ExxonMobil Teachers Academy.